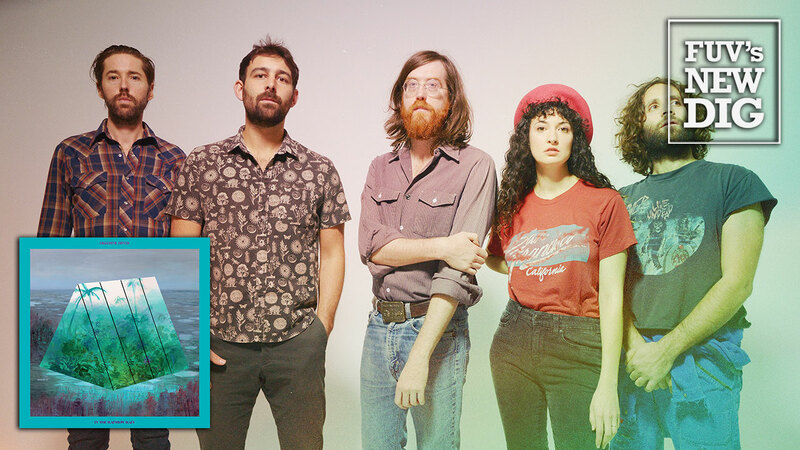 Okkervil River, formed twenty years ago in Austin, Texas, has always been guided by singer and songwriter Will Sheff, the band’s constant member and creative force. With Okkervil River's ninth studio album, In the Rainbow Rain, Sheff turns away from the dark introspection that permeated the band's last album, 2016's Away, and takes a brighter outlook. Several years ago, Sheff grappled with numerous personal matters that influenced his songwriting, namely the death of his grandfather and a series of personnel changes in Okkervil River’s lineup. Said Sheff at the time: "I realized I was kind of writing a death story for a part of my life that had, buried inside of it, a path I could follow that might let me go somewhere new." In the Rainbow Rain does go somewhere new and counters Away's troubled mindset, as Sheff found a way out of that difficult time. The new album possesses an exuberance that wasn't as present on their last album. If Away were the equivalent of a cloudy day, In The Rainbow Rain is that moment when the clouds part, revealing the blinding light of the sun. That’s not to say that everything on In the Rainbow Rain is blatantly positive, but, even when the subject matter beings to get heavy, there is still a prevalent happiness. In the Rainbow Rain is dense with ideas, thoughts, melodies, sounds, and textures. Like much of Okkervil River’s work, there's a lot going on in these songs. Sheff is a complex writer, approaching lyrics with a stream-of-consciousness freedom. His melodies may be simple, but the arrangements are ornate with shimmering guitars, dashes of electronics, synths, horns, and compressed drums. Sheff's own “Shelter Song” is heartwarming, inspired by dogs and cats being cared for in a shelter for abandoned animals. The seven-minute epic “The Dream And The Light” is buoyed by dashes of saxophone and a sprinkling of synths. “External Actor” leans towards country while the soulful “Don’t Move Back To LA” is pretty simple — a direct plea for someone not to head out west. In fact, Sheff even released a statement about that latter track, going into detail about why he wrote it. "I think the song is also kind of about my own deep and long-held desire to get the hell out of New York City," he admits, "which for years I felt was suffocating me but which I couldn’t manage to leave." Sheff’s lyrical deftness and unique writing style taps into all aspects of the human psyche, especially his own. It's this cathartic approach that steers the songs from In the Rainbow Rain into varying shades of dark and light. Sheff might still have some serious things on his mind, but for this album, there’s a smile on his face and a light in his eyes. Listen to a brand new FUV Live session with Okkervil River, premiering on Monday, May 14, at 8 p.m. EDT on 90.7 WFUV, or streaming on demand at any time.